Where are the dog and the rabbit at home? What does the mouse like to eat best? 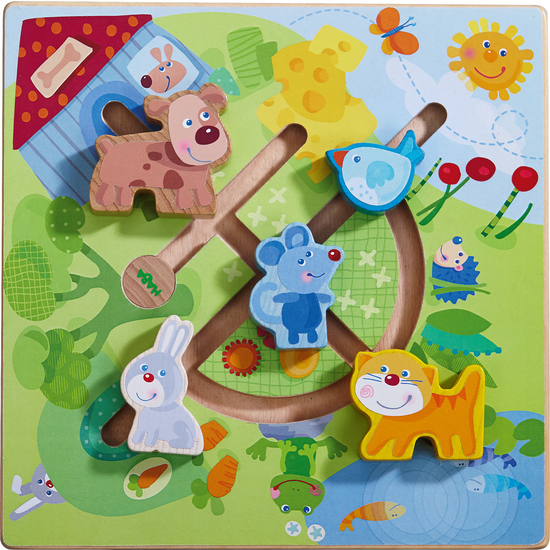 Children can playfully find this out and much more by sliding the amusing colorful animal figures back and forth.